Vintage Norton Motorcycles: Now we know the real story! "Welcome to my advertisement of the sale of my vintage motorcycle a 1923 Norton Model 16H, 490cc side valve. The Norton name is one of the most well known motorcycle manufacturers and was founded in 1901 by a gentleman named Rem Fowler who established a win in the first ever Isle of Man race on board his v-twin engined Norton. Lessons learned on the race track were passed down to the road going motorcycles in performance, handling and braking improvements making the road going motorcycle steps ahead of the competition. 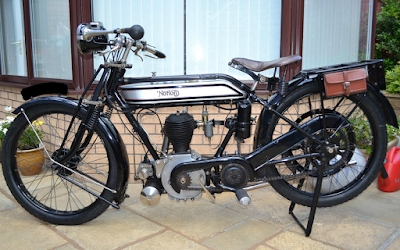 In 1911 James Lansdowne Norton entered a 490cc side valve motorcycle into the TT races with no success but the following year with some improvements won the Brooklands TT and set three world records. 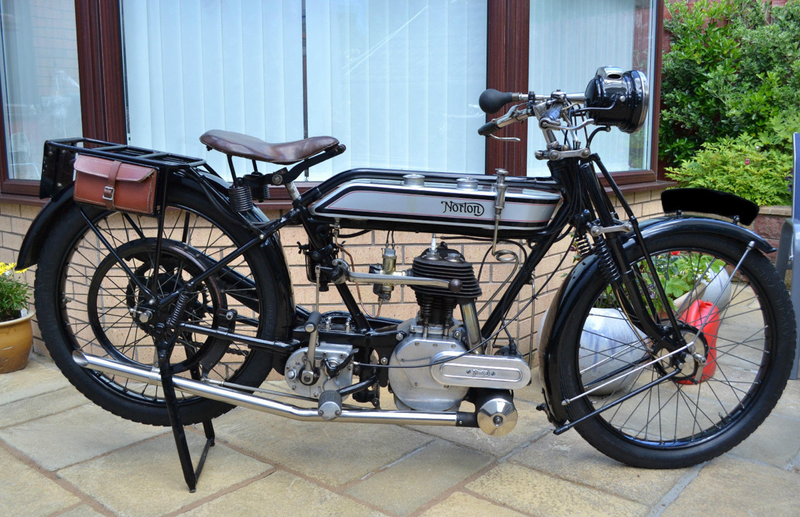 My 1923, Norton 16H is in excellent running condition with lots of history, various old tax disc, old M.O.T.. certificates, original old brown logbook confirming correct engine/frame no's, original registration number, current V5C and old V5, well known to the Norton owners club with lots of history." As the saying goes, couldn't have put it better myself! Even the Bonham's introductory blurb is a good deal better than this.